According to the United States Department of Agriculture’s Soil Taxomony, the soils of the world fall into 12 major categories, called soil orders. 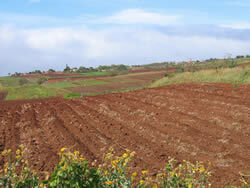 Soils within one soil order share similar characteristics. 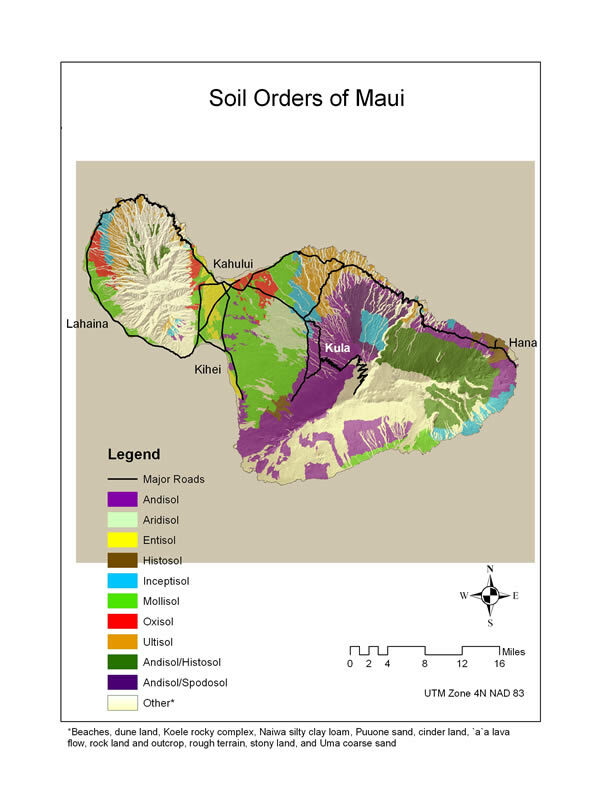 Hawaii, with 11 of the 12 soil orders, has more soil orders than any other state in the United States. 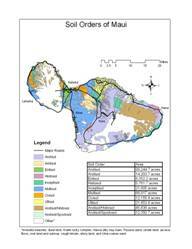 Within the 1,159 mi² land area of Maui County alone, there are 7 different soil orders. In comparison, the entire state of Maine, which encompasses 35,387 mi2, has only four soil oders (Amundson et al., 2003). Its diversity of soil makes Maui County an excellent place to observe the unique behaviors of different soil orders. Knowledge of soil behavior is very important in nutrient management because this knowledge enables you to predict how your management strategies will affect your soil.